When planning to get pregnant, you may be picking out names and nursery colors. But, it’s smart to do a cleanse before conception. Here’s how. When you start planning for adding a baby to your life, your diet is not usually the first thing you think about. But, in today’s world, we are swimming in toxins and if you don’t detox, then your baby will be to. 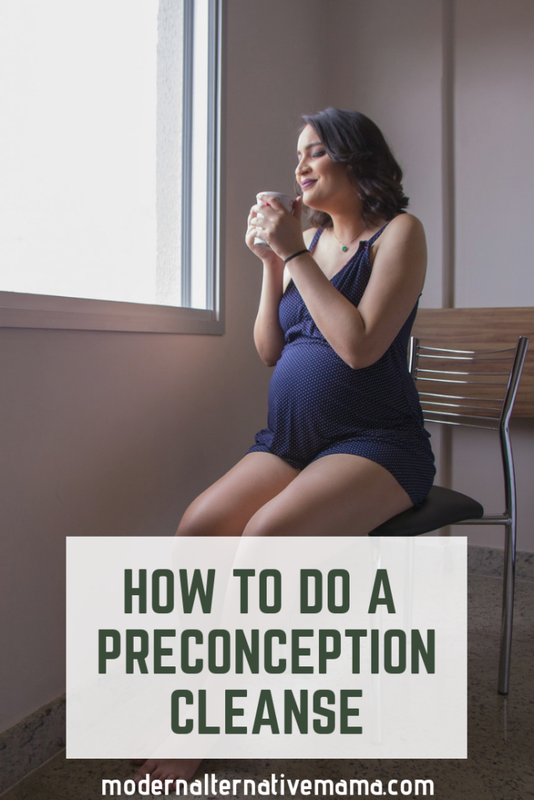 If possible, it’s important to start getting ready at least six months, and even a year or longer, before conceiving by detoxing and preparing your diet to support a healthy pregnancy. The Environmental Working Group (EWG) found 232 toxins in newborn’s umbilical cords. Plastics, including PCBs, PFCs, and other toxins in 99 percent of newborn’s umbilical blood. In a study of ten newborns, lead, mercury, and PCBs were found in every single one’s cord. And, a woman’s nutritional status really does affect her pregnancy, birth, and newborn’s health. No matter how healthy you eat, it’s a good idea to detoxify before conceiving. And, here’s how. When detoxing, you always want to start with the bottom and go up. So, begin with cleansing your colon, then move onto your other organs, and end with a stellar diet. Start with doing a colon cleanse. Add a daily colon detox regime of 1 cup of water, with the juice of half of a lemon, a pinch of sea salt, and a drop or two of honey. Then, move to your kidney and liver. During this time, consume raw liver or pastured liver pills, suplement milk thistle, and add one fresh pressed, organic juice per day. Add cilantro to remove heavy metals, a liver tincture, and a homeopathic kidney and liver cleanse. Now it’s time to clean out the stomach. Add good probiotics to your diet. Test for H. pylori and rid your body of it before pregnancy. If you suspect you have stomach acid issues, try adding Swedish Bitters or apple cider vinegar in the morning or before meals daily. If you believe you may have parasites, be sure to detoxify them also. Also, be sure to add fermented foods to your daily diet. If you can, start with a juice cleanse, just consuming organic fresh pressed juices daily for 3-4 days. Eliminate processed flours and sugars, and add in plenty of organic meats, fruits, and vegetables. Consume raw, pastured dairy, or cut out dairy altogether if you are sensitive. It’s a good idea to see where your vitamin and mineral levels are. Consider a hair mineral test (HTMA) and be sure to correct any imbalances before conceiving. In addition to these changes, you can also try chiropractic, acupuncture, infrared saunas, salt rooms, and exercise to help remove toxins from the body. After detoxing, it’s important to eat a pre-baby diet. Each pregnancy drains the mother’s body of needed nutrients, and you can never start too early to build those up. It’s also a good idea to prepare your body between pregnancies. Taking a small dose of maca daily. A peanut butter banana smoothie is a great way to sneak it in. Consider seeding or doing cycle tinctures to regulate your cycle. Do chiropractic and natural treatments to ensure your fertility is ready to go. Change your daily diet to focus on good fats and proteins, low carbs and sugars, high omega 3’s and folate (not folic acid!). Add a quality, whole food Prenatal vitmain, such as MegaFood, New Chapter, or Zahler brands. But remember, you can’t out supplement a bad diet. A preconception cleanse and conception diet should be at the top of your pregnancy “to do” list. Follow this detox and food plan way before you conceive for an easier pregnancy and birth, and healthier newborn. 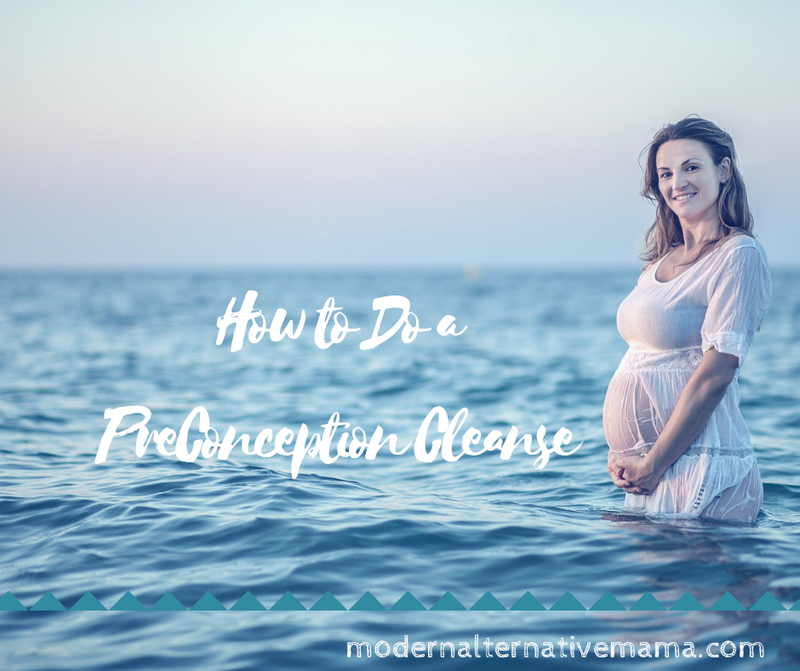 Did you do a preconception cleanse? Thank you so much, I appreciate that there is something like this available! I never thought about a cleanse.